After nearly a decade of hype, the second generation Acura NSX has become a reality. Originally slated to be powered by a V10 engine, based on the 2007 Acura Advanced Sports Car Concept, the NSX was put on hold due to developing economic issues worldwide. In 2012, the NSX made it comeback with a brand new concept at the North American International Auto Show. Over the years, the NSX has adapted to meet changing trends in the automotive industry and stay as advanced as possible compared to other supercars. 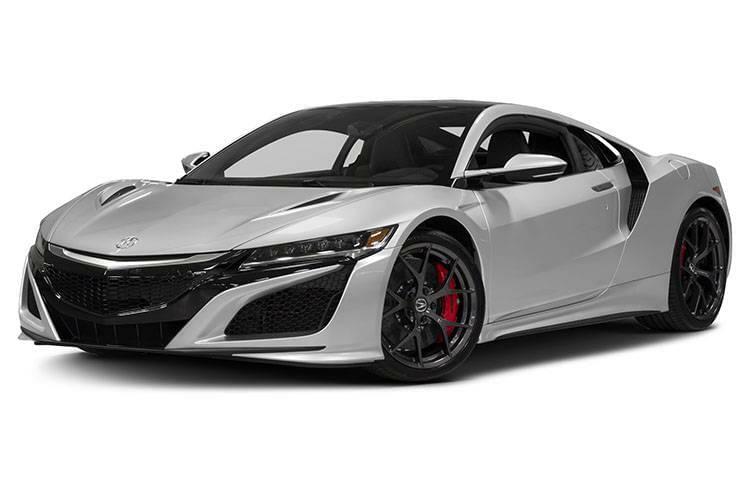 Utilizing Acura’s SH-AWD system, the production NSX utilizes a hybrid engine setup, with a total of three electric engines helping support a 3.5-liter twin-turbo V6 engine. With its incredible performance technology, the 2017 Acura NSX is able to accelerate from 0-60 mph in just 2.7 seconds, according to Car and Driver. That makes the NSX faster than the 661-hp, twin-turbo V8-powered Ferrari 488, a car that starts at $90,000 more than the NSX. Acura has gone to great lengths to ensure the second generation NSX is a true supercar worthy of going down in history, and competing with even the most expensive supercars today. Interested in learning even more about the new NSX? Keep reading! Or, if you’d like to check out this beautiful car for yourself, click the link below to browse our NH Acura dealer’s current inventory! The first generation NSX was an absolutely legendary car, known for making exotic-quality sports cars more accessible and bringing the first all-aluminum design to production. With a design that stood out more than many exotic cars, and reliability that was unseen at the time, the NSX became a benchmark for creating quality sports cars. And now that it’s back after a decade-long hiatus, Acura is starting where it left off: offering advanced technology, brilliant design aesthetics, and incredible performance for a price that beats its closest competitors. For example, despite its limited production, the NSX does not command an extravagant price tag one might expect from a flagship supercar. With a base price of just $157,800, it’s actually more affordable than the latest Audi R8, and compared to the $450,000 starting price the new Ford GT you could nearly purchase an NSX for yourself and two of your closest friends. With the new NSX, it’s clear Acura is accomplishing the same mission in 2017 as in 1991: create a car that serves as a benchmark for others to compete against in the future. See the New NSX in Motion! When you think of a hybrid car, you probably have the image of an ugly, slow, and boring-to-drive car. And for the better part of a decade, hybrid technology was used exclusively in those types of vehicles. But with the NSX, and moving down is line-up, Acura is going to change the way car buyers view hybrid vehicles, while helping advance the technology. The NSX features a total of four engines that help generate massive amounts of power, incredible acceleration, and keep the supercar more efficient than sports cars with much less power. 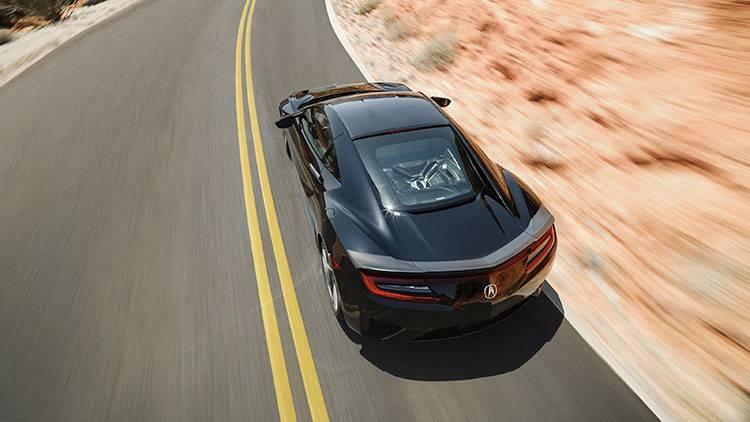 The NSX’s engine set-up utilizes Acura’s sport hybird SH-AWD system with three electric motors. 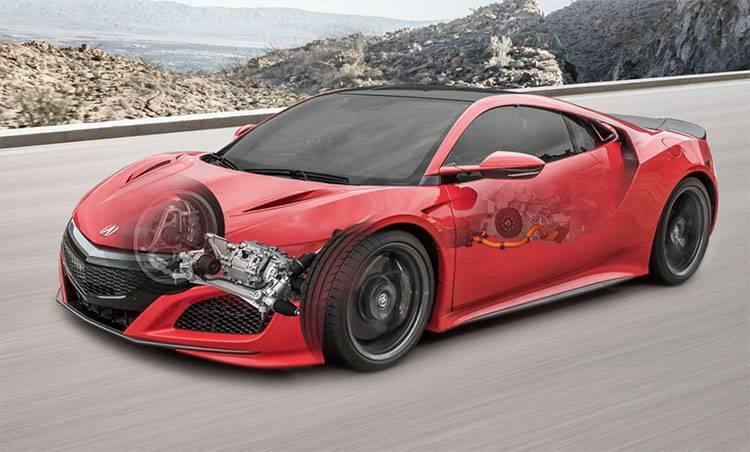 Two electric motors up front help support the NSX’s 3.5-liter twin-turbocharged V6 engine provide pure massive acceleration power to the front wheels, while a third electric motor provides support to the AWD system in the rear of the vehicle. This system allows for incredible handling and helps propel the NSX to a 2.7-second 0-60 mph time, in an independent test by Car and Driver. (Acura’s own tests claim a 3.0-second 0-60 time.) But even at 3 seconds, the NSX is listed as one of the fastest production cars in the world. With its 573 total horsepower and 476 lb-ft of torque, the NSX may not sound like one of the fastest cars in the world. After all, many sports cars are coming off the production like with 650 or more horsepower nowadays. However, with the NSX’s SH-AWD system and electric motor setup, its goal isn’t to be the fastest on paper; it’s all about real-world performance. The NSX’s power is exactly where it needs to be to provide mind-blowing straight-line performance, and balance that with the ability to handle in a way that allows for precise steering and braking. When it comes to sports cars, it’s usually the performance numbers, track times, and other specs that get the most attention from enthusiasts. But beyond the mechanical performance of the drivetrain, there’s a lot that makes the second generation Acura NSX special. The first generation NSX was known for being the world’s first all-aluminum production vehicle, so the new NSX had a lot to live up to on the innovation side of things. But using cutting edge technology, Acura is delivering a design that’s as close to perfection as perfection can get! It all starts with the multi-material space frame and body panels that provides incredible rigidity without sacrificing visibility or driver safety. Components are mounted to a casting that helps ensure that the chassis maintains the stiffness needed for precision performance driving. The exterior design may comes second to the perfecting of the underlying elements, but that didn’t stop Acura from making the NSX a truly beautiful work of art. With sculpted lines and planes along the frame, the NSX’s shape and overall design is graceful and also functional from a driver’s standpoint. Once inside the NSX, you’ll be greeted by aerodynamic side mirrors that stick out to provide enhanced visibility due to the size of the rear intakes. The fender peaks are also visible to the driver in order to give a better idea of positioning, which is extremely important when trying to take precise turns around sharp curves. Along the side, the NSX features floating C-pillars, which help provide better airflow to rear-engine vents. At the rear, one of the coolest design details are the hidden air vents between the spoiler and taillights. These help minimize disruption in the aerodynamics as air flows over the roof of the NSX. Acura’s rule with the NSX was that the design should have a purpose. This ensures that there is no wasted space and nothing holding back the vehicle from achieving its best performance for owners. Every vent, line, body panel, and intake is positioned where it is specifically to assist the NSX. But it does look really cool in the process! 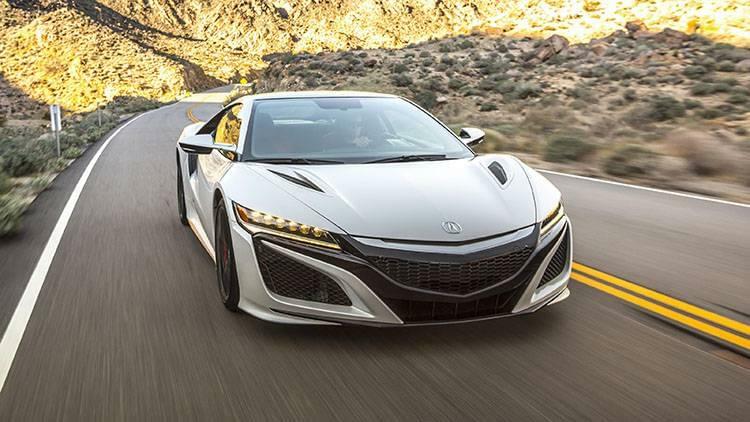 The new Acura NSX is the type of car that comes along only once in a generation. With its specially-designed hybrid drivetrain, incredible design, and limited production, this is the type of car that people regret not buying. And at a value that far exceeds its asking price, you’ll be glad that you landed on the NSX over any other comparable supercar in its price range. At Sunnyside Acura, we’ve been lucky enough to get our hands on two of these extremely hard to find supercars, and are willing to work deals with anyone interested, no matter your location. So if you’re serious about owning this incredible piece of automotive history, contact us as soon as possible before it’s too late!